Cockers are intelligent and easy to train. 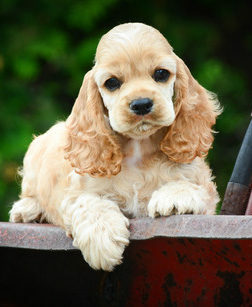 The Cocker has become a favorite family dog because of the unique Cocker Spaniel temperament. They are trustworthy and kind and are ideal for people that have small children and other animals. They were considered America’s favorite dog at one time and still remain very popular as a pet because of their intelligence, beauty and temperament. They strive on companionship and will provide hours of entertainment with family and friends. The Cocker Spaniel temperament is hard to beat.